Once in a decade (or maybe more, if you are lucky), there comes along a film that not only leaves you speechless, but also makes you think. Such a film creates a lasting impact and helps you understand that there is a lot more to history than what has been penned down in our textbooks. The impact is so strong, that even as the credits roll, you are unable to get up from your seat, thinking, shedding a tear or two (if you are an emotional bee, like me) and trying to sink in everything that you have just witnessed on the big screen. It makes you realise that there is a lot more to cinema than the regular entertaining fare dished out. The kind of stuff that may enter the 100 crore club, but will fail to educate the next generation or be even remembered 10 years down the line. Yes, Haider did that to me! There I was, waiting for the magical story to unfold and be told in a way that only Vishal Bhardwaj could do justice to. The central protagonist's emotional journey suddenly became my own. I could feel his pain, the melancholy, the love. That's the power of Bhardwaj's storytelling and presentation. Being a student of literature in the past, I have been exposed to several works of Shakespeare. The Tragedy of Hamlet, from where the film has been adapted, is one such play. I won't shy away from sharing the fact that I took some time to understand the character's complexities. But when I did, I realised that this is hands down of the most powerful plays ever written by Shakespeare. Now, despite the fact that the basic plot of this film is similar to Hamlet, Haider is much more than just a story of Inteqaam. It delves into a spine chilling reality. A reality that often returns to haunt the people of Kashmir, every now and then. It shows us how the pure white snow clad mountains of Kashmir have been often stained with blood all around. Haider dares to look at Kashmir beyond the usual 'running behind the tree' and 'honeymoon moments'. Bhardwaj sets this tragic play in Kashmir of 1995, where political unrest and cries of families who have lost their dear ones, envelopes the otherwise calm air in the valley. 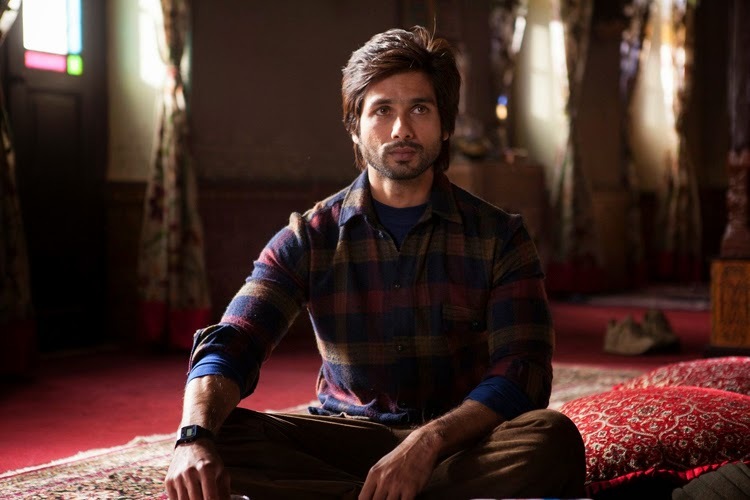 Here, Haider Meer (Shahid Kapoor) returns to Kashmir, only to know that his father is 'missing', but doesn't fail to notice how in the middle of such bad times, his mother Ghazala (Tabu) and uncle Khurram (Kay Kay Menon) are merrily laughing in one corner of the house. What follows is sheer cinematic brilliance, as you watch the characters get embroiled in different complex situations. Haider loves his mother, but is swayed by the 'hints' given by a certain Roohdaar (Irrfan) to take revenge against his uncle. He finds solace and love in the arms of Arshia (Shraddha Kapoor), but doesn't know what awaits him next, and finally, he knows that death is the final destination for every individual, but still goes all out for the ultimate revenge. Bhardwaj loves dealing with complex relationships, just like Shakespeare. He nailed it in Maqbool and Omkara, but with Haider, he goes a notch above. Using the right emotions, I love how Bhardwaj has wonderfully handled the relationship between Ghazala and Haider, as well as Haider's Oedipus Complex in a subtle way. It is marvelous how Bhardwaj and writer Basharat Peer have managed to blend everything together, with the perfect detailing, while staying true to the theme of Kashmir insurgency. Spine chilling visuals of devastation all around the valley will leave you numb, but the sight of snow and young love (Haider - Arshia) blooming under it will also make you smile. Kudos to Pankaj Kumar for the excellent cinematography. The background score by Bhardwaj is top notch and compliments the theme well. A special word for the excellent casting, done by Mukesh Chhabra. Narendra Jha as Haider's father is a great find. Oh, and how can I forget the song that gave me goosebumps - Bismil! You just cannot miss watching this brilliantly choreographed masterpiece on the big screen. Choreographer Suresh Adhana has shown us how folk dance can still grab eyeballs. Wow! The editing is crisp and dialogues are perfectly penned, with the actors even taking an effort to ace the dialect. I have always been a big fan of Bhardwaj's music and the Haider album is a unique package, that ranges from soft rock to ghazals, romantic tunes to a kashmiri folk number. Each song is perfectly placed in the film and the delightful lyrics penned by Gulzar adds a cherry on the cake. Please do yourselves a favour by not getting up from your seat (as is the unfortunate norm in India) during the end credits. Let Rekha Bhardwaj's wonderful rendition of Aaj ke naam mesmerise you. Allow it to stay with you before heading out. Trust me, you will be compelled to buy the song and hear it on loop. Finally, coming down to performances. I'll use points to describe each of them. Tabu - One of the few female actors in the industry who never fails to impress me with her performance. Chandni Bar, Maqbool and now, Haider; Tabu always manages to ace and how! In the center of all the turmoil stands her character, Ghazala, who is perpetually torn between the relationships. Not once does Tabu allow us to feel that she is essaying a 'role'. This natural actor steps into the shoes of Ghazala and becomes one with her. She does not need dialogues to deliver an award worthy performance. Her eyes are enough to do the trick. Bravo Tabu! Claudius is a treat to watch. Shraddha Kapoor - She does justice to her role, without going too over-board. Shraddha portrays the role of a Kashmiri journalist perfectly. She is bold, yet a little naive and her broken English adds the 'cute' factor. Irrfan - As mysterious as Roohdaar can get, Irrfan excels in his brief but integral appearance in the film. He changes the film's track with his suspicious moves and behaviour. He fits into this role like a dream. 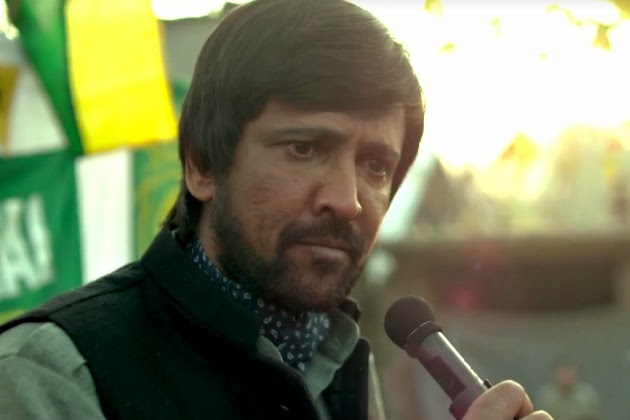 The Additional Cast comprising of Narendra Jha, the two Salman Khan fanatics, Khulbushan Kharbanda, Lalit Parimoo among others do a superb job in their respective parts. We also see Peer doing a cameo. Shahid Kapoor - I have never questioned his potential an actor and never will. With each film, Shahid has only proved that there is a lot more to him than what most directors have made him do till date (except Kaminey, Jab We Met and a few other films, of course). 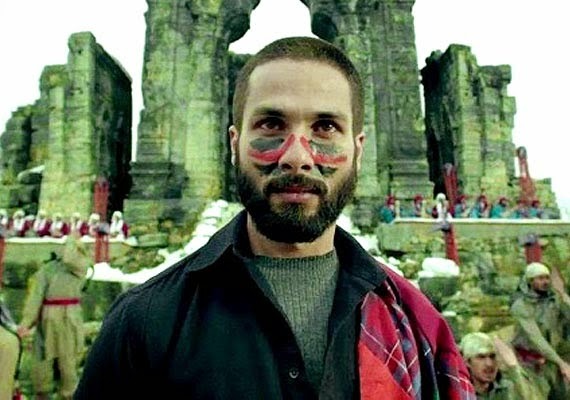 His performance in Haider can seal all those lips who have only pooh-poohed at his choice of films or performances. I really can't think of any other actor today who can essay Haider Meer, the way Shahid has. What an impeccable performance! Watch the scene where Haider is seen mourning near his father's grave. Any actor can laugh or cry, but touching an audience member's heart and making them cry with you is no mean task. You can see and feel the innocence, passion and fury in his eyes. You connect with his complexities and strike a chord with the emotional journey he has been through. In a few scenes, you also notice how Shahid's dialogue delivery sounds a lot like his father, Pankaj Kapur. Haider presents a never before seen side of the immensely gifted actor (and a special mention of Bhardwaj for extracting this performance from him). This film tells you why the actor is undoubtedly one of the best from his generation. Take a bow, Shahid! "Be not afraid of greatness. and some have greatness thrust upon 'em." Yes, Mr. Vishal Bhardwaj! The almighty has bestowed immense greatness upon you. because it is far more superior than the regular 'star' race. Full marks from my side, because it takes great 'Chutzpah' to make a valuable film like this. So, head to the theatres and enjoy what very few films can offer you - earnest performances and a flawless presentation. Haider is pure poetry in motion. Sheer magic!